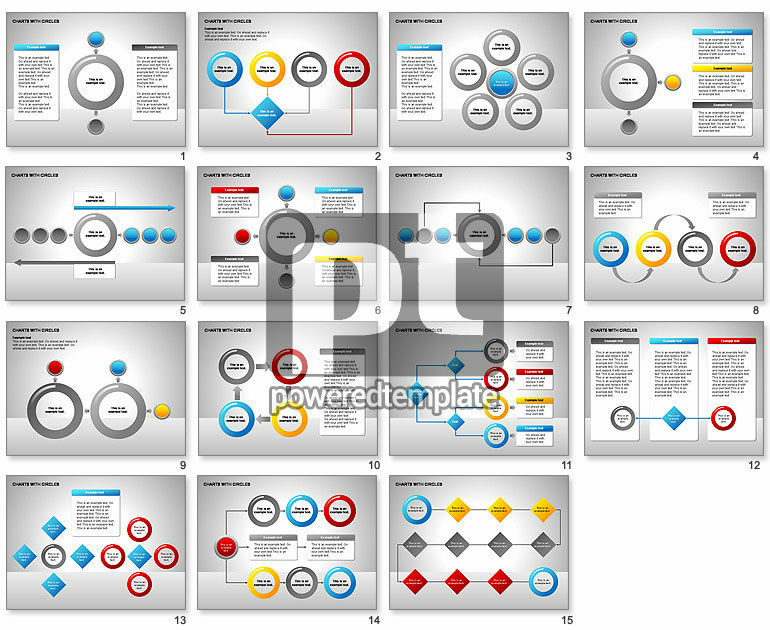 These presentation slides 26434 are complete compatible with Google Slides. Simple download PPTX and open the template in Google Slides. Nice charts are good choice for presentations on algorithms, circles, analysis, stages, processes, graphs, interconnections between parts, dependencies, etc.